C&IT has teamed up with the Cyprus Tourism Organisation, the Columbia Beach Resort and Cyprus Airways to offer one lucky reader plus guest the chance to win a four-night luxury break with flights. 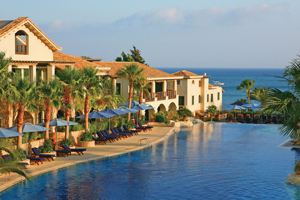 The Columbia Beach Resort is located in Pissouri Bay on the south-west coast of Cyprus. The prize includes transfers to the resort, a four-night stay for two at in a junior garden view suite, and flights with Cyprus Airways. Surrounded by rugged cliffs and acres of vineyards, the all-suite five-star retreat offers a Molton Brown spa, floodlit tennis courts, squash courts, a gym and water-sports. Event spaces include a conference centre with capacity to seat 240 delegates, a meeting room for 30 and breakout room for 15. Facilities also include the Apollo Taverna, where delegates can enjoy Cyprus meze and sea views, and the fine dining Dionysos Restaurant. National carrier Cyprus Airways operates direct flights from London Heathrow, London Stansted, Manchester and Birmingham to Larnaca or Paphos. To enter, send your answer to the following question to citcomp@haymarket.com by 20 September: on which bay is The Columbia Beach Resort situated? The prize is to be taken by 31 March 2011. Holiday subject to availability and must be booked at least ten days in advance. The Columbia Beach Resort booking conditions will apply and guests must adhere to hotel rules. Prize includes four nights Bed and Breakfast accommodation for two people. All other costs and expenses are the responsibility of the winner and their guest. Flights including airport taxes to Cyprus from London Heathrow and transfers on the island (airport/hotel/airport) will be provided courtesy of Cyprus Airways and The Cyprus Tourism Organisation. Travel insurance is not included in this prize and it is essential that the winner has own travel insurance to cover the trip. C&IT , Cyprus Tourism Organisation, the Columbia Beach Resort , Cyprus Airways , lucky reader , guest , chance , win , four-night luxury break , flights.